There is a flea market in Amsterdam. This flea market is known as Waterlooplein Flea Market. 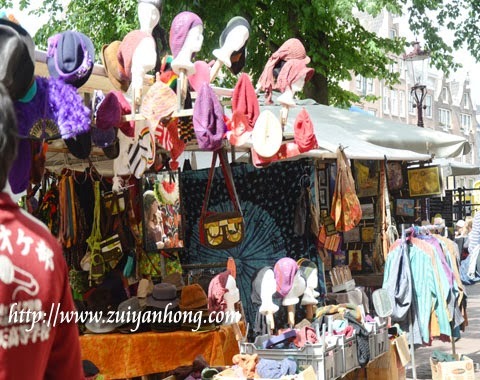 This flea market is named as Waterlooplein Flea Market because it's located at Waterlooplein in Amsterdam. Waterlooplein Flea Market is not far away from Dam Square. 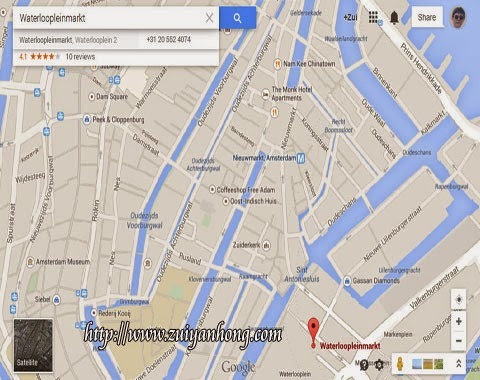 It's within walking distance from Dam Square. It takes you for 15 minutes of walking from Dam Square to Waterlooplein Flea Market. 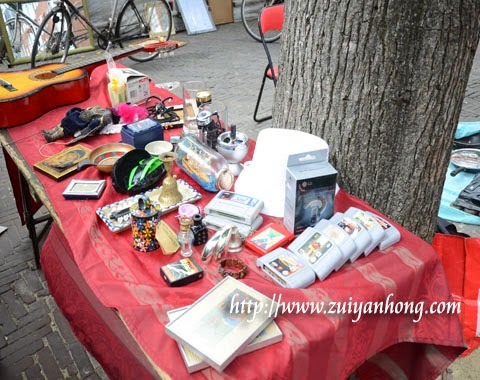 A bundle of used stuffs are available at Waterlooplein Flea Market. 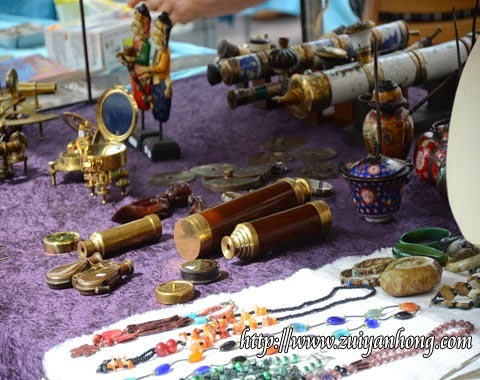 It range from bags, toys, DVD, videos, beads, antiques, clothing, porcelains, telescopes, souvenirs, old books to electrical appliances. 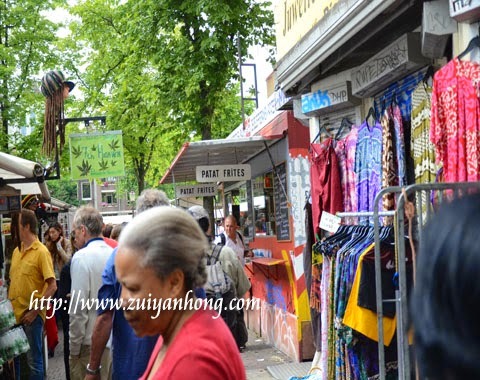 A tourist was passing by a clothing stall. 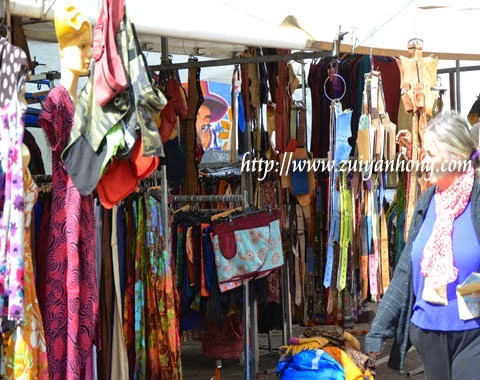 Various types of belts, shirts, pants and scarves were sold at this stall. This stall sells bags, hats, clothing and scarves. 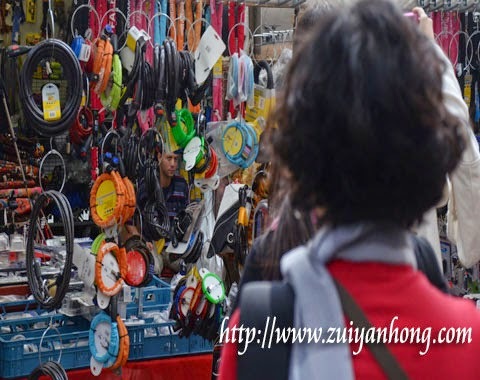 In case you wish to buy any item, you can try to bargain with the stall owner. Waterlooplein Flea Market is not only a location of selling and buying. It's also a tourist attraction in Amsterdam.